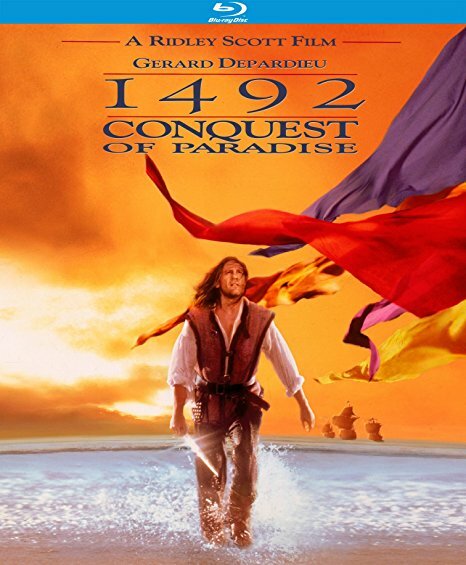 For a film that clocks in at over two and a half hours, Ridley Scott's 1492: Conquest of Paradise feels strangely rushed. Chronicling the first two voyages to the New World by Christopher Columbus, 1492 has a lot of ground to cover. Clearly in a hurry to get to the actual voyage, Scott never really gives the film time to breathe, or the sense of discovery and adventure to feel truly momentous (despite a glorious score by Vangelis). Ignoring for a moment the fact that the film is basically a hagiography a man who in reality was a brutal murderer (it shifts blame for Columbus' atrocities to Adrián de Moxica), the film is either too long, or not long enough, depending on how you look at it. Scott is just trying to cram too much in here, and the result feels hurried, like a wildly historically inaccurate Cliff's Notes account of the Columbus story. On the plus side, the film is lovely to look at, beautifully shot by Adrian Biddle (although the Blu-Ray presentation feels a bit lackluster) and sumptuously designed by production designer Norris Spencer and costume designers Charles Knode and Barbara Rutter. And did I mention how amazing Vangelis' score is? It feels like it's building a legend, yet the film itself often feels like it's racing to catch up to its own ambition. Scott is a magnificent visual stylist, but 1492: Conquest of Paradise fails to dig deeper into its protagonist's mindset. It casts him as a simple dreamer, but ignores the actual history and ramifications of his "discovery." The result is a beautifully constructed drag that never seems to become the grand epic it truly wants to be. 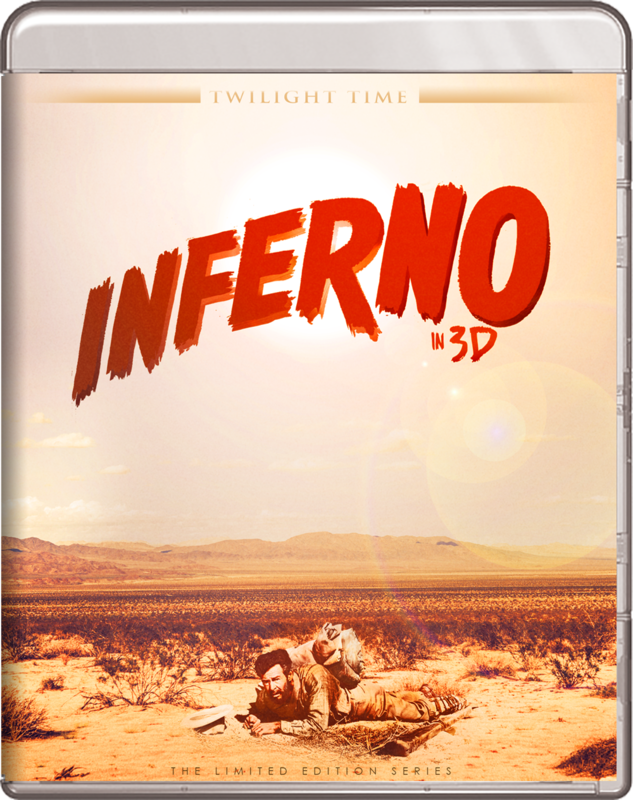 Roy Ward Baker's Inferno is a lean, mean piece of work. The tale of a widely disliked millionaire who is left for dead in the middle of the desert by his wife and her lover after falling and breaking his leg, Inferno is a grueling character study that follows his struggles to make it back to civilization. While Baker is best known for directing A Night to Remember, along with a host of B-horror pictures, Inferno is a unique beast all its own. Released in 3D in 1953, the film avoids most of the hokey visual gimmicks that were a hallmark of the 3D craze during the era, instead focusing on its protagonist's growth during his time in the desert. 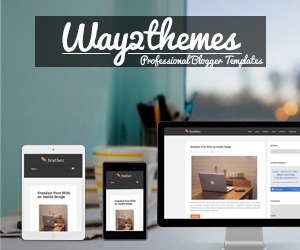 A vain, aloof, selfish man, he discovers new depths to himself as he struggles to survive. At first, it is a desire for vengeance keeping him going, but he soon discovers that he has much more to live for than he ever realized. The central performance by Robert Ryan is excellent. While the film itself hasn't survived in the best condition (even on Blu-Ray, much of its Technicolor cinematography has faded to a pale blue), it remains a tautly directed thriller featuring well drawn characters and a compelling plot. The phrase "they don't make 'em like this anymore" has become a cliche, but in this case it's true - they really don't. 20th Century Fox didn't invest much in 3D after this first foray into the already waning craze, but this was no throwaway exploitation film. It's a gritty ode to the resilience of the human spirit, and the capacity for great change in the face of great adversity. The Man in the Moon marked both the film debut for young Reese Witherspoon, and the final film for legendary filmmaker Robert Mulligan. Mulligan is perhaps most famous for helming To Kill a Mockingbird, in The Man in the Moon, he paints another indelible portrait of a young girl coming of age in a small southern town. Witherspoon is nothing short of remarkable - a natural talent from the very beginning. As a 14 year old girl feelings the pangs of first love in the form of an older boy who has eyes for her sister instead, Witherspoon delivers a fully realized and wholly believable performance that heralded the arrival of a major talent. Mulligan's sensitive direction feels like an anachronism, something out of the 60's rather than the 90's, but the resulting film feels so natural, so lived in, it's like a time capsule in the best possible way. It's a slower paced film about a slower way of life. We watch young Witherspoon learn and grow, and feel as if we have become a part of this close-knit, rural family. It's a beautifully crafted look at childhood romance and the pain of learning life's hard lessons. 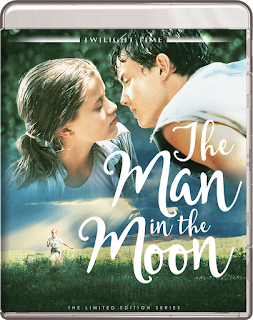 Few filmmakers have captured the American south quite like Mulligan, and The Man in the Moon is his graceful, deeply moving farewell. Nick Nolte stars as a Vietnam veteran who finds himself smuggling drugs from Vietnam back to the States for a war-addled photographer (Michael Moriarty) and his wife (Tuesday Weld). The wife, it turns out, has become an addict while her husband was away, and Nolte finds himself drawn to her as they run away from a gang of thugs out to steal the drugs for themselves. 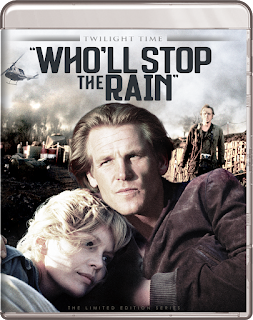 Released only 3 years after the United States withdrew from Vietnam, effectively surrendering the country to the North and ending the war, Who'll Stop the Rain has a melancholy, world-weary air, as if the continuation for the war for those who lived through it was all but inevitable. Nolte is fantastic, as are Moriarty and Weld (not to mention Anthony Zerbe as the cooly calculating villain), but the film itself is something of a mixed bag, occasionally feeling likely a cheaply constructed thriller using Vietnam as a selling point. Still, director Karel Reisz (The French Lieutenant's Woman) brings a wider sense of tragedy to the proceedings, as a long and grueling war continues to claim victims long after it's over. 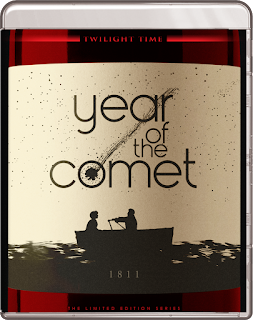 A wine historian and a charming rogue go on the run in pursuit of the world's most expensive bottle of wine, which is also being in pursued by a band of criminals who believe it contains a formula they need to complete a new fountain of youth drug. The plot is silly, of course, but there's a certain charm to Peter Yates' and William Goldman's caper. Unfortunately, it's brought down by wooden lead performances that just can't sell the film's inherent outlandishness. 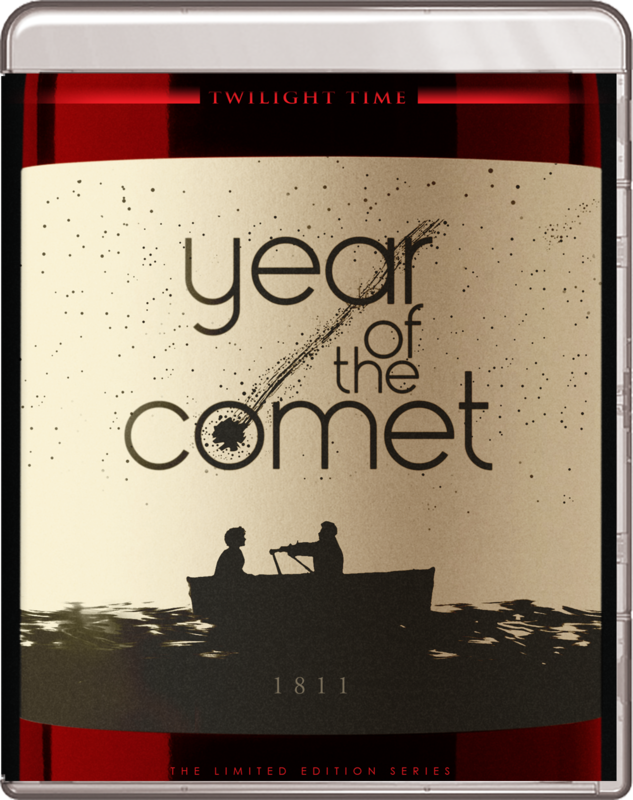 Beautifully shot by Roger Pratt, and featuring a lovely score by Hummie Mann, but they're in service of a film that's just a bit too silly for its own good. Goldman's script features some sparkling one-liners, but the film's mix of action and romantic comedy often comes off as contrived rather than charming. Still, while it may be less than the sum of its parts, many of those parts are surprisingly entertaining, especially as the film nears its climax.